Granted the mimic entry to the clan for no purpose other than to cause havoc. Now, having been discovered for his actions, he is faced with something he has up until now escaped: consequences. A dragon out of time, determined to defend the clan from further peril and restore it to it's former state. If that means that she must play captor to a pair of unstable dragons, so be it... Because they will help her. The dragon that first fell victim to the attack and guardian of a newly hatched nocturne, the bond formed between her and the mimic could be the trio's best shot at locating and destroying the beast. 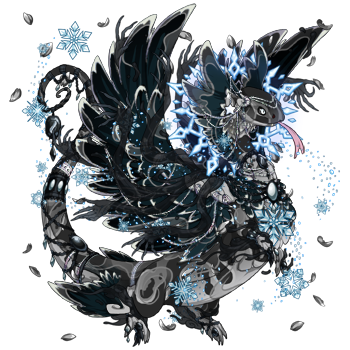 [center][url=http://flightrising.com/main.php?dragon=29236364] [img]http://flightrising.com/rendern/350/292364/29236364_350.png[/img] [/url][/center] [b]Maledict[/b] the zombie-hunter seems particularly suited to this task. He's used to dealing with creatures whose minds are not their own. His only problems are complete lack of empathy and ability to moderate his reaction to any given threatening situation. 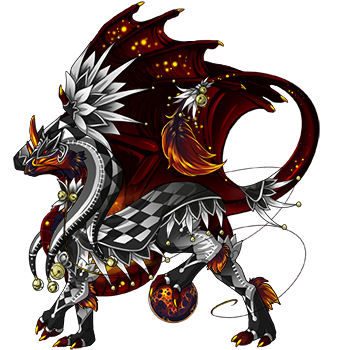 [center][url=http://flightrising.com/main.php?dragon=39597236] [img]http://flightrising.com/rendern/350/395973/39597236_350.png[/img] [/url][/center] The clan's local magic-expert, [b]Nemmerle[/b], would be the first one the clan would call to look for a creature like a mimic. He's not too big of a fighter, but that's what he's brought Maledict for. 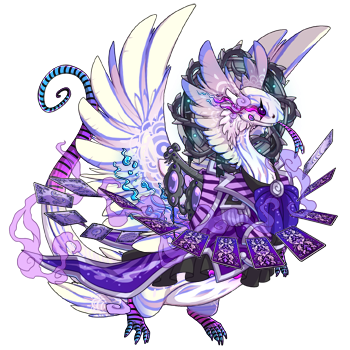 [center][url=http://flightrising.com/main.php?dragon=44017132] [img]http://flightrising.com/rendern/350/440172/44017132_350.png[/img] [/url][/center] And, naturally, one can't go hunting for dragons (however grudgingly) without the help of a licensed dragon-hunter like [b]Leshen[/b]. He has no love for dragons, and probably will need to be held back from destroying what Nocturnes he's sent to find, but nobody would be able to protect Nemmerle so well on his search for the mimic. Maledict the zombie-hunter seems particularly suited to this task. He's used to dealing with creatures whose minds are not their own. His only problems are complete lack of empathy and ability to moderate his reaction to any given threatening situation. The clan's local magic-expert, Nemmerle, would be the first one the clan would call to look for a creature like a mimic. He's not too big of a fighter, but that's what he's brought Maledict for. And, naturally, one can't go hunting for dragons (however grudgingly) without the help of a licensed dragon-hunter like Leshen. He has no love for dragons, and probably will need to be held back from destroying what Nocturnes he's sent to find, but nobody would be able to protect Nemmerle so well on his search for the mimic. 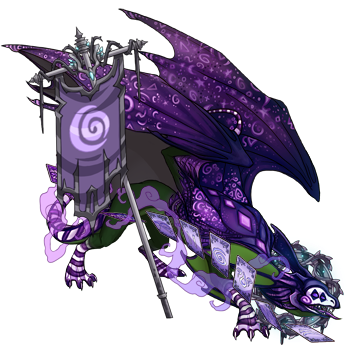 [url=http://flightrising.com/main.php?dragon=44645313] [img]http://flightrising.com/rendern/350/446454/44645313_350.png[/img] [/url] [b] Luck[/b]-The Thief, trickster, and Liar "What do you mean i'm lying?" Questioned Luck, with an innocent face. "What I mean as in, 'your lying' I mean, your not telling the truth. You are the mimic!" Clara said, very sternly. Luck, without lying this time squirms a bit and says nervously, "I'm not the mimic... I'm really not!" Clara, sneering as she says, "Pff, Then you know who it is, at least." Luck slowly backs away, wide eyed, feeling a bit naucious. Clara snaps her claws, and two large gaurdians grab Luck and sit him down. [url=http://flightrising.com/main.php?dragon=44421612] [img]http://flightrising.com/rendern/350/444217/44421612_350.png[/img] [/url] [b]Clara[/b]-Pure, and Stern "Fine! Maybe I do know who it is... But i'll only tell you if you let me go." Luck said, you could see the lying, and trickster in his eyes. Clara snaps her claws again, the gaurdians drop him and leave the tent. "Who is it then? Who is the MIMIC?! Clara says in a scarily stern voice. Luck darts out of the tent and flies into the clouds. "I tell Clara, the LEADER, who it is. And the mimic and I both will get kicked out of the lair!" Luck sees the gaurdians' shadow. One gaurdian grabs his hat, the other, grabs his shoulders. "Let me go!" Luck squirmed and yelled until they got to the tent. The gaurdians chain him to the ground, and leave. "Say who it is NOW or you will be left in this tent TO DIE of starvation. Luck says nothing. Doesn't even open his mouth. Clara leaves the tent. Luck screams for help. [url=http://flightrising.com/main.php?dragon=45174919] [img]http://flightrising.com/rendern/350/451750/45174919_350.png[/img] [/url] [b]Luciel[/b]-The mimic It was midnight before some one came. Luck heard the person open the tent, heard the light swiftness of a tail going by his head. "Help" he whispered weakly. "Why hello love, I see you were trapped here?" "Luciel! Thank the Plaguebringer your here!" He stage whispers. Luciel unlocks the cuffs bolted to the ground. "Did you tell her who I was?" Luciel asked. "Why of course not!" Luck exclaimed. "Good, because I wasn't about to give you another chance." Luck rolled his eyes. "Now, take all the eggs from the nests! Steal all expensive jewelry! We're takin all we can and moving to the darkest depths of the Wispwillow grove! We will take care of the hatchlings there!" Exclaimed Luciel. "Can we pull a few tricks on Clara first?" Asked Luck excitedly. Clara walked in, you could see her glowing clothing from the farthest dragons view. "AHA! I FOUND YOU!!" Two larger gaurdians walk in, with armour of a knights' on. They grab Luciel, Luck watches as her hat falls, onto the dark, dirty floor of the tent. "Thanks for telling me in secret about her." Clara says, with a small smile, and walks out. Luck grabs Luciel's hat, and leaves the tent, heading home, to his true family. "What do you mean i'm lying?" Questioned Luck, with an innocent face. "What I mean as in, 'your lying' I mean, your not telling the truth. You are the mimic!" Clara said, very sternly. Luck, without lying this time squirms a bit and says nervously, "I'm not the mimic... I'm really not!" Clara, sneering as she says, "Pff, Then you know who it is, at least." Luck slowly backs away, wide eyed, feeling a bit naucious. Clara snaps her claws, and two large gaurdians grab Luck and sit him down. "Fine! Maybe I do know who it is... But i'll only tell you if you let me go." Luck said, you could see the lying, and trickster in his eyes. Clara snaps her claws again, the gaurdians drop him and leave the tent. "Who is it then? Who is the MIMIC?! Clara says in a scarily stern voice. Luck darts out of the tent and flies into the clouds. "I tell Clara, the LEADER, who it is. And the mimic and I both will get kicked out of the lair!" Luck sees the gaurdians' shadow. One gaurdian grabs his hat, the other, grabs his shoulders. "Let me go!" Luck squirmed and yelled until they got to the tent. The gaurdians chain him to the ground, and leave. "Say who it is NOW or you will be left in this tent TO DIE of starvation. Luck says nothing. Doesn't even open his mouth. Clara leaves the tent. Luck screams for help. It was midnight before some one came. Luck heard the person open the tent, heard the light swiftness of a tail going by his head. "Help" he whispered weakly. "Why hello love, I see you were trapped here?" "Luciel! Thank the Plaguebringer your here!" He stage whispers. Luciel unlocks the cuffs bolted to the ground. "Did you tell her who I was?" Luciel asked. "Why of course not!" Luck exclaimed. "Good, because I wasn't about to give you another chance." Luck rolled his eyes. "Now, take all the eggs from the nests! Steal all expensive jewelry! We're takin all we can and moving to the darkest depths of the Wispwillow grove! We will take care of the hatchlings there!" Exclaimed Luciel. "Can we pull a few tricks on Clara first?" Asked Luck excitedly. Clara walked in, you could see her glowing clothing from the farthest dragons view. "AHA! I FOUND YOU!!" Two larger gaurdians walk in, with armour of a knights' on. They grab Luciel, Luck watches as her hat falls, onto the dark, dirty floor of the tent. "Thanks for telling me in secret about her." Clara says, with a small smile, and walks out. Luck grabs Luciel's hat, and leaves the tent, heading home, to his true family. 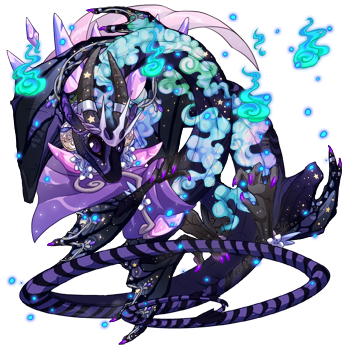 [url=http://flightrising.com/main.php?dragon=9153765] [img]http://flightrising.com/rendern/350/91538/9153765_350.png[/img] [/url] Starflight, an estranged apothecary with limited skill in magic. Where he gets his ingredients is a mystery, and no one's ever mustered up enough courage to ask him. He knows more about anatomy than any normal dragon should. [url=http://flightrising.com/main.php?dragon=12674953] [img]http://flightrising.com/rendern/350/126750/12674953_350.png[/img] [/url] Stormwing, a mysterious fellow who's presence tends to escape most dragons. He speaks with a perpetual whisper and makes almost no noise when he moves. He always seems to know what others are thinking. 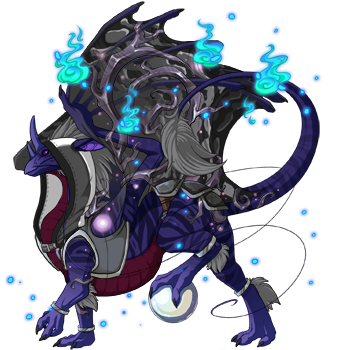 [url=http://flightrising.com/main.php?dragon=23271141] [img]http://flightrising.com/rendern/350/232712/23271141_350.png[/img] Majin, a very blunt healer who's good at what she does. She takes criticism with a grain of salt and has threatened to amputate the limbs of said critics more than once. She's capable of holding back attackers with little more than a stitching needle and her bare talons. Starflight, an estranged apothecary with limited skill in magic. Where he gets his ingredients is a mystery, and no one's ever mustered up enough courage to ask him. 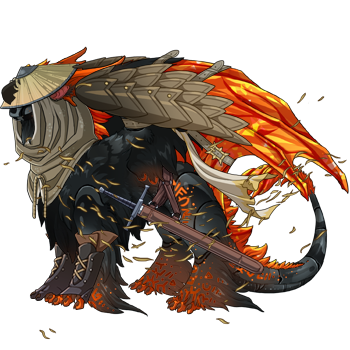 He knows more about anatomy than any normal dragon should. Stormwing, a mysterious fellow who's presence tends to escape most dragons. He speaks with a perpetual whisper and makes almost no noise when he moves. He always seems to know what others are thinking. Majin, a very blunt healer who's good at what she does. She takes criticism with a grain of salt and has threatened to amputate the limbs of said critics more than once. She's capable of holding back attackers with little more than a stitching needle and her bare talons. Ran is a warrior who has a very high sense of honor. She don't use a lot of intellect, but is a very good fighter. 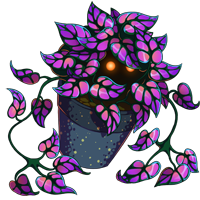 This guardian use nature's ability, it's a forest friend. It's not a combattant and he still prefer eating than fighting. Essenza is the healer of the clan. Wise and proud, he like to prepare all his actions before acting. His opinions are very respected. "Come on, we're wasting time, we're going out, we're cutting, we're killing the first one who's coming in and we're saving our friends – if they still alive." The tundra growled between her clenched teeth. "No, we can not act without having a plan, and a good one, stay calm. I'm sure Essenza is going to find us a good plan. Hey, do you want a chewed larva to make you wait?" the guardian whispered, holding out his paw to Ran. "You are real children, and it's on you that the clan has to count? That shows promise!" The Imperial's commented in his soft voice. Dawn will illuminate a memorable scene. Three dragons were sitting, each leaning against the back of his neighbor, looking satisfied. All around them, faint nocturnes were laid in improbable poses. "It was a good plan, huh?" Magician noted, swallowing his last chewing larva. "Yeah, it was fun." Ran answered with a slight smile. "Real kids ..." Essenza murmured. "Come on, let's get ours companions out of there," he said as he indicate the entrance to the cave. [url=http://flightrising.com/main.php?dragon=25248234] [img]http://flightrising.com/rendern/350/252483/25248234_350.png[/img] [/url] Whirlpool, the High Warrior, child of the Tidelord, took the lead. [url=http://flightrising.com/main.php?dragon=47061669] [img]http://flightrising.com/rendern/350/470617/47061669_350.png[/img] [/url] The majestic Molten, child of the Flamecaller and a hunter, followed her closely. [url=http://flightrising.com/main.php?dragon=36651237] [img]http://flightrising.com/rendern/350/366513/36651237_350.png[/img] [/url] Icedrift, jester child of the Icewarden, followed them from a distance. They managed to find it, however it evaded them and went into the hatchery, breaking a couple eggs. Icedrift was the one to kill it. Whirlpool, the High Warrior, child of the Tidelord, took the lead. The majestic Molten, child of the Flamecaller and a hunter, followed her closely. Icedrift, jester child of the Icewarden, followed them from a distance. They managed to find it, however it evaded them and went into the hatchery, breaking a couple eggs. Icedrift was the one to kill it. Home of the Deity Dragons. Check out my lair for more! 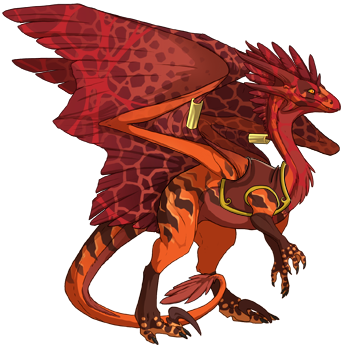 [url=http://flightrising.com/main.php?dragon=41296374] [img]http://flightrising.com/rendern/350/412964/41296374_350.png[/img] [/url] Cicero - He is one of the best assassins in the lair, though almost nobody knows it. Most of the other dragons in the lair assume is is just as mad as he acts, which is only partially an act, but his skill is undeniable and his slightly insane mind has no problems accepting the peculiar nature of the dragon's mimic problem. [url=http://flightrising.com/main.php?dragon=27100507] [img]http://flightrising.com/rendern/350/271006/27100507_350.png[/img] [/url] Franara - He is my clan's shadow representative and, like Cicero, is just a little insane. He is a rather skilled mage and he uses his enchanted cards to aid in his spells and pranks. He is friendly most of the time, and he rejoices in playing tricks on his fellow dragons. His knowledge of the shadow element is key to the trio's hopes of finding the mimic lurking in the lair. [url=http://flightrising.com/main.php?dragon=28724862] [img]http://flightrising.com/rendern/350/287249/28724862_350.png[/img] [/url] Valraen - He and his mate, Serainya, are perhaps the most skilled mages in the clan. When they fight together, their magic compliments each other's in such a way that their foes swear that they are one and the same, unfortunately Serainya is away on a mission and likely won't return until the spring, leaving Valraen to try to find the mimic with Cicero and Franara alone. Luckily he has studied the mimics from past years extensively and even has one he befriended as a familiar. Cicero - He is one of the best assassins in the lair, though almost nobody knows it. Most of the other dragons in the lair assume is is just as mad as he acts, which is only partially an act, but his skill is undeniable and his slightly insane mind has no problems accepting the peculiar nature of the dragon's mimic problem. 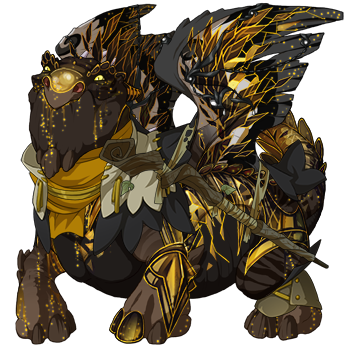 Franara - He is my clan's shadow representative and, like Cicero, is just a little insane. He is a rather skilled mage and he uses his enchanted cards to aid in his spells and pranks. He is friendly most of the time, and he rejoices in playing tricks on his fellow dragons. His knowledge of the shadow element is key to the trio's hopes of finding the mimic lurking in the lair. Valraen - He and his mate, Serainya, are perhaps the most skilled mages in the clan. When they fight together, their magic compliments each other's in such a way that their foes swear that they are one and the same, unfortunately Serainya is away on a mission and likely won't return until the spring, leaving Valraen to try to find the mimic with Cicero and Franara alone. Luckily he has studied the mimics from past years extensively and even has one he befriended as a familiar.